Sinead McCarthy, Specialist Pelvic Health Physiotherapist reports that at least 1 in 5 mums-to-be will experience pelvic girdle pain or back pain during their pregnancy, with research stating that up to 70% of pregnant women will suffer. The sooner these symptoms are identified and treated the better the outcomes that can be achieved. Early management is essential in helping to improve your symptoms. Please don’t ignore pain if you notice it! This can happen due to changes in your posture, weight and centre of gravity during pregnancy. Having a previous history of lower back pain, pelvic pain or pregnancy-related pain does increase your risk unfortunately, as does being overweight or being in a physically demanding job. Pain may be aggravated by a lot of walking, difficulty standing on one leg, climbing stairs, turning in bed, getting in and out of bed, the car or getting up from a deep sofa. You may find it uncomfortable also to lie on your back, stand for long periods or when getting dressed. This is not a ‘normal’ part of pregnancy, you don’t have to ‘put up with it’ and there most definitely is help out there! You can help yourself to prevent or manage this pain by keeping active and strong through exercise that is pain-free. Pregnancy Pilates is a great idea to improve pelvic floor function, core stability, specific muscle activation, balance and mobility in the middle and lower back and pelvic region. Gentle walking if it is pain-free may help, as well as doing activities in water such as aquanatal classes, light swimming (avoiding breaststroke) or by simply walking in the pool whilst allowing the weight of your bump to feel supported in the water. Pregnancy yoga or other pregnancy-specific classes may also be useful as you are working with a pregnancy-trained instructor. On a day-to-day basis avoid spending too long in any postures, change from sitting or standing regularly, and take rest breaks when you can. Delegate any heavy jobs and don’t be afraid to ask for help! Wear supportive shoes that are not too flat and ideally not high heels. Sit down to put on underwear, tights, trousers, socks and shoes so as to avoid standing on one leg. Keep your knees together when turning over in bed, getting in and out of bed and getting out of the car. Consider using a pillow between your knees when lying on your side in bed. Take the stairs slowly and one step at a time. It is not often as physiotherapists that we advocate this but try where possible to take the lift when out and about. ‘Turning Under’ can be a good strategy to use when getting in/out of bed or when participating in an exercise class. Rather than turning back onto your back and turning over, try when lying on your side to come around onto your hands and knees and then turn under and out onto the other side. This can spare the discomfort associated with turning over. Try to avoid carrying heavy bags on one shoulder, carrying toddlers repeatedly on one hip, lifting heavy weights/heavy shopping/wet laundry, prolonged sitting or standing, sitting cross-legged or rushing around at a fast pace. Let everything take you a little longer now when walking! Regular pelvic floor muscle exercises will also improve your pelvic stability and has the added bonus of preventing any bladder or bowel weakness as your pregnancy progresses. Try to start off with a gentle squeeze forwards from the back passage towards the pubic bone at the front as if trying to stop yourself from passing wind or urine. Make sure you don’t feel your tummy or buttock muscles tightening! Hold for up to a count of 10 and then feel the muscles relax fully. Try to repeat this 10 times if you can. Follow it with 10 sharp squeezes from back to front, and try this routine three times each day. Building up your pelvic floor muscle control has also been proven to prevent continence problems post-delivery. The “Squeezy” app can be a really helpful reminder on your phone. This was developed by a specialist women’s health physiotherapist and it is highly recommended to keep track of your pelvic floor exercises and to act as a regular prompt to undertake them. If you are already finding some bladder weakness with cough or sneeze this can be reduced by using your pelvic floor muscles as described above and tighten them just before you sneeze, cough, lift something or stand up out of a low seat. Remember to ‘squeeze when you sneeze!”. Gentle heat (e.g. a hot water bottle in a towel or a warm microwave wheat bag) can be comforting when used on the lower back / buttocks for 15-20 minutes every few hours. If your pain is more at the front pubic joint this can respond well to ice or cold, such as some peas or ice in a sandwich bag wrapped in a light damp cloth/damp towel over the joint for 10 minutes at a time. Remember that your skin can be more sensitive to heat or cold during pregnancy so use caution with any of these strategies to avoid potential burns. Using a large gym ball to sit on at home can also be comfortable at times and adding in some pelvic tilting, rotations and swaying side-to-side is good for mobility. Make sure that it is the correct size for you depending on your height and use a 55cm (if <5’2”), 65cm (if 5’2” to 5’8”) or 75cm (if >5’8”) ball. I’m still getting my pain. What can I do next? If your pain remains despite trying all of these strategies it could be worthwhile going to see a Chartered Physiotherapist who is familiar with pregnancy-related problems. Some hands-on ‘manual’ physiotherapy may be needed to restore good mobility and reduce muscle tension. Advice regarding posture, exercise and stretches specific to you can make all the difference. Acupuncture is another resource that is extremely beneficial in pregnancy-related pelvic girdle pain and can be used in conjunction with your physiotherapy treatment. Seek out a physiotherapist who is registered with the AACP (Acupuncture Association of Chartered Physiotherapists). Sometimes a pelvic support belt can be a useful addition to managing your pain which your physiotherapist can advise and fit you for having assessed your pelvis. I don’t recommend buying these online without a good assessment of your pain as they can be costly and potentially not the right type for you. Post-pregnancy most women will find that their pain either resolves immediately or within the first few weeks. Give yourself the chance to recover by taking it relatively easy in those early weeks postpartum, minimising any heavy lifting apart from caring for your baby, stick to gentle low impact exercise such as light walking and start your pelvic floor muscle exercises gently from the first day. Consult your physiotherapist if you notice any residual niggling pain and don’t let it go on. If you are feeling well after your six-week check-up then starting some gentle strengthening can be a great idea such as post-natal specific pilates. Having a postnatal assessment with a physiotherapist to check your tummy muscles and your pelvis will give you the confidence to gradually progress back into exercise that you enjoy in a safe manner. If you notice any changes in your pelvic floor, bladder or bowel function have them direct you to a specialised women’s health physiotherapist for further assessment and guidance on your exercise routine. Please remember that pain is not normal during or after pregnancy, don’t feel you have to put up with it! A Chartered Physiotherapist like Gary Jones at PHYSIO 206, would be able to provide a thorough assessment, hands-on treatment, acupuncture or exercise advice. This blog was very kindly written by the super talented and renowned Specialist Pelvic Health Physiotherapist Sinead McCarthy. 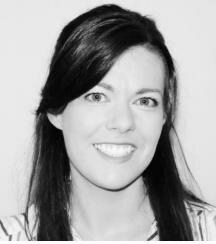 Sinead is a POGP member and works in a hospital based clinic as well as in private practice in Cork, Ireland. She can be contacted by email at sineadmccarthypelvichealth@gmail.com or can be tweeted @SineadMcC_512. The team at PHYSIO 206 would like to take this opportunity to thank Sinead once again for this extremely informative blog – it’s very much appreciated and I’m sure will be greatly received.